Talib Hussain Dard Punjab Folk Music Singer, he was born on 1955 in Khanoana, Khewa, Thesil Bowana District Jhang Punjab Pakistan. He is most popular Punjab Folk Music Artist, he sung lot of great songs in Punjabi, Saraiki and Urdu language. He is still called a singer of "Dard ". He is great singer of Punjab and he create great name in Punjab Folk Music. He is very popular due to Sad Songs in Punjab. He is best of one from folk music of Punjab artists. 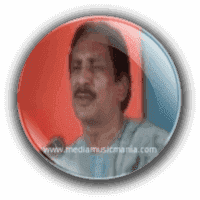 Talib Hussain Dard is great Classical Folk Music Singer, Punjab Cultural and Lok Music Artist and he is famous Artist of Punjab Musician Art and he sung such type of songs which peoples like. He is very popular in all over Punjab and Pakistan. His old music of Punjab songs are still very popular. Talib Hussain is well known Punjabi Folk Singer and famous on Radio Pakistan. Specially Punjab Music is very popular in all over the world. Punjab is famous about Punjabi Sufi Music, Arfana Kalaam and Sufi poets are very popular. Talib Hussain Dard has sung lot of great songs and we love his popular songs every time.Talib Hussain Dard Be Dard Dhola, Talib Hussain Dard Jog, Talib Hussain Dard Jog, Nit Pardesi Dhola. He started singing in local marriage ceremonies and other events in Jhang District. His first album was released from Pak Gramo Phone Agency Jhang. The peoples of Punjab specially Jhang, Sargodha, Mandi Bahwal Din and other root areas of Pakistan like his all albums and peoples listen her Sad Punjabi Songs with love and affection, he is very demanded artist of Punjab an also he sung city to city and village to village. I have selected below super hit most popular Sad songs of Talib Hussain Dard.